Until I started hunting for a pair of contacts the idea of ethical eyewear hadn’t ever really crossed my mind. I’ve always preferred the use of deadstock frames as an alternative to buying a pair from a high street opticians yet that had more to do with style than sustainability. It was only when my curiosity got me questioning whether contacts were vegan did I start to think about the ethical implications of eyewear. There are issues with the eye care industry that ethical consumers have reasons to be concerned about. The industry itself is safe and regulated but there is a severe lack of clarity. If we started asking questions of our opticians and our contact lens and spectacle makers, we may be able to push for a more transparent industry overall. I want to clearly state that eyewear is a medical device and it’s often a necessity not an option. Finding ethical eyewear isn't a priority when your eye care is at stake. 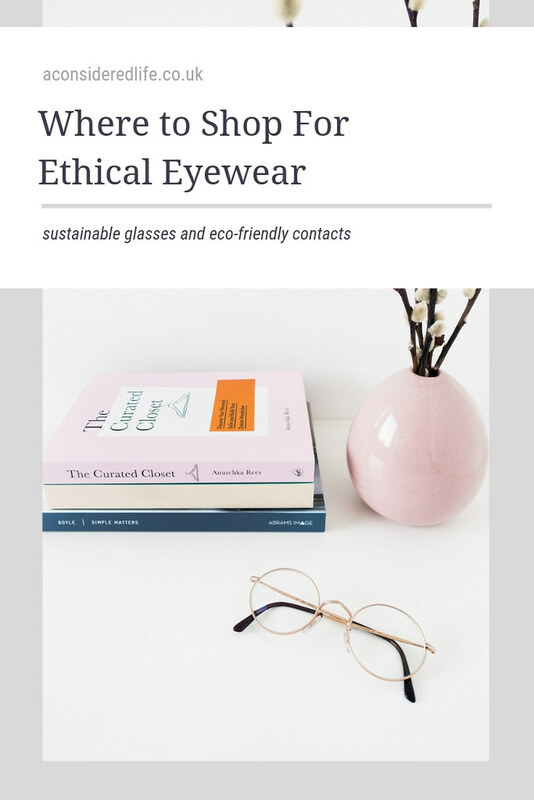 If you find you’re struggling to find a suitable ethical and sustainable option or alternative to your current lenses or frames, don’t beat yourself up over it. Your health has to come first. Pick whichever option suits you best. If you must buy a new pair of frames, finding out what they are made of can be tricky. There’s almost no detailed information about the materials used in the manufacturing process. You’ll often find opticians are unable to tell you the full details of what their frames are made of. Finding a reliably eco-friendly, sustainable, and ethical option that is also suitably stylish can be incredibly difficult and frustrating. Most frames on the market are made from light, strong, man-made materials, often petroleum based plastic because it’s cheap. Look for cellulose acetate instead, which is made from usually cotton or wood pulp and is relatively ecologically friendly because it is biodegradable and compostable. More expensive frames are made from stainless steel, aluminium, titanium, or gold. Titanium is one of the most ecologically friendly materials because of the regulations that govern its mining but its still very difficult to find out where a company has sourced their titanium. Both plastic and metal frames can include chemical additives including dyes, glues, UV inhibitors, lacquer, and mould inhibitors. 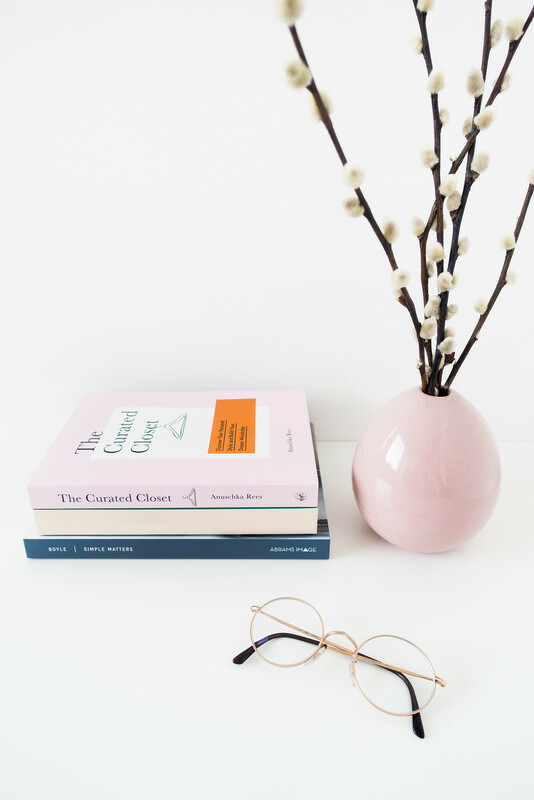 The most ethical and sustainable way to shop for a new pair of frames is to have your prescription fitted into an old pair of frames you already own. Alternatively, look for deadstock retailers. Deadstock frames are either ‘new old stock’ or reconditioned vintage glasses that you can have prescription lenses fitted into. Using and reusing frames in this way is a much more eco-friendly approach to buying eyewear. There are plenty of places you can source deadstock frames, it’s getting lenses fitted into them that can be tricky. 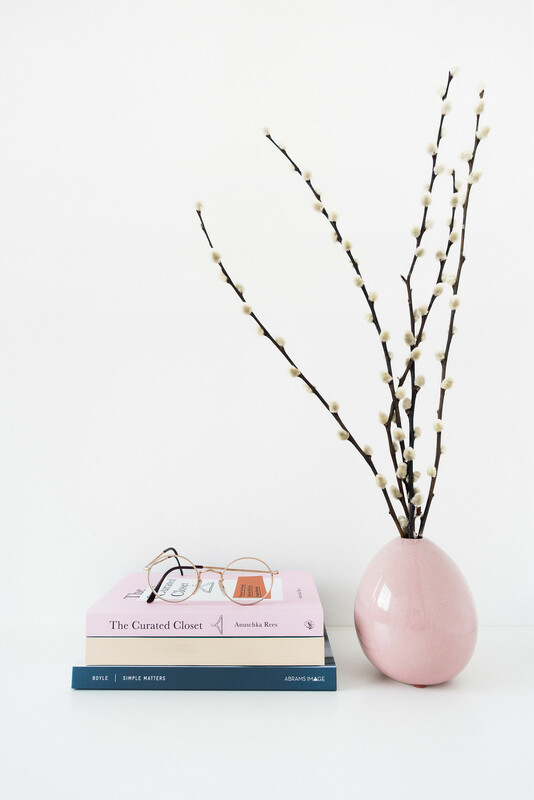 Most highstreet opticians are making profit from the frames you buy rather than the eye tests and prescriptions so they are very reluctant to put lenses in frames you take to them. That’s the problem I faced until I discovered Peep Eyewear. They provide fully refurbished vintage eyewear, every pair of frames is unique and can be turned into optical glasses or sunglasses. They’re the ethical choice and an environmentally conscious brand, helping to create greener cities with Trees For Cities. My current pair of glasses are from Peep, a pair of matte gold frames made from lightweight and hardwearing metal. They’re comfortable and stylish, and most importantly, eco-friendly. Read more about how to find the right pair of glasses for you. The disposable nature of contact lenses make them the least ethical eyewear option, yet for a lot of people they are a necessity. You may need contacts for work, activities or hobbies, or just find them more suitable for your lifestyle. It’s debatable whether single-use contacts, which you throw away after each use, or weeklies and monthlies, which require a bottle of solution, are the better or worst option. Either way you end up discarding them much sooner than you would frames. The materials used to make contact lenses are more often than not vegan-friendly, what usually makes them an unethical choice is animal testing. Contact lenses are considered medical devices by law and they must be approved by regulatory authorities, which often involves some form of testing on animals to prove they are safe for public use. All big brand contact lens manufacturers test on animals. Unfortunately this makes the majority of contact lenses and accompanying products (like saline solutions) not vegan-friendly nor cruelty-free. Finding ethical contact lenses then becomes a tricky hurdle to overcome. There are very few options available (only one, in fact!) so if those don’t work for you, you’ll have no option but to switch to a less-friendly alternative. Fortunately, there is one supplier who provides a vegan-friendly and cruelty-free option: Daysoft. Both the Silk and Classic range are suitable and they happen to be one of the most affordable contact lens suppliers on the market. It’s worth mentioning that regulatory authorities have the final say in what testing is required so always double check for changes in policies before purchasing. If you’re happy with your contact lenses and would like a cruelty-free vegan-friendly saline solution, the Clear Conscience Multi Purpose Contact Lens Solution (available only from Amazon as far as I’m aware) is the only option currently available. I’m happy with wearing glasses daily but in summer I’d like to be able to wear my sunglasses and still be able to see. Instead of getting a prescription fitted into them and potentially rendering them unwearable if my prescription changes; it made more sense for me to purchase contact lenses I could wear for convenience. My experience with Daysoft Silk daily contact lenses has been nothing short of wonderful. They're really useful to have when I want to switch to wearing sunglasses or if I just want a break from wearing frames. I'd definitely recommend them. I don’t wear contacts all day just when I want to go swimming or if it’s hot enough for sunglasses. I mention this because contact lenses can be drying when worn for long periods and Daysoft has been criticised for causing some irritation to wearers. I think this is something that could be said for any and all contact lenses, and depends on all sorts of variables like how long you’re wearing your contact lenses for and the health of your eyes. 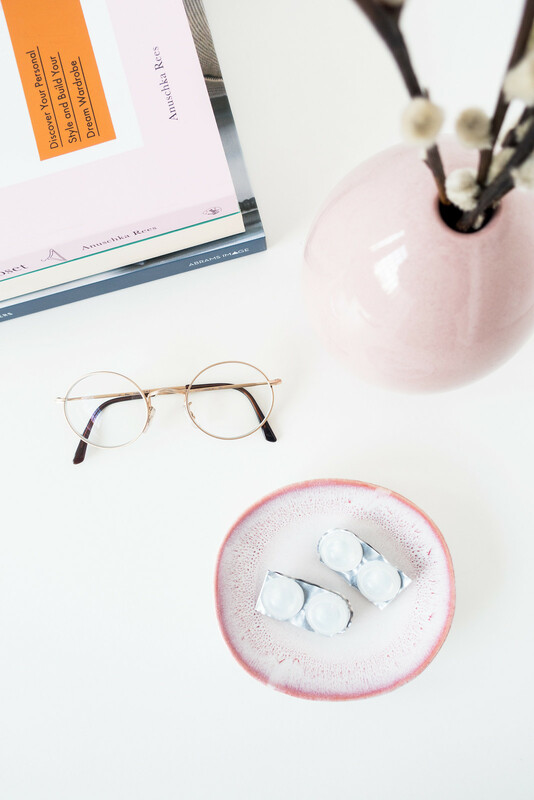 It may be Daysoft aren’t for you and it could take a little trial and error before you find the right contact lenses. Have you ever considered the ethics of your eyewear? Let's discuss it in the comments.